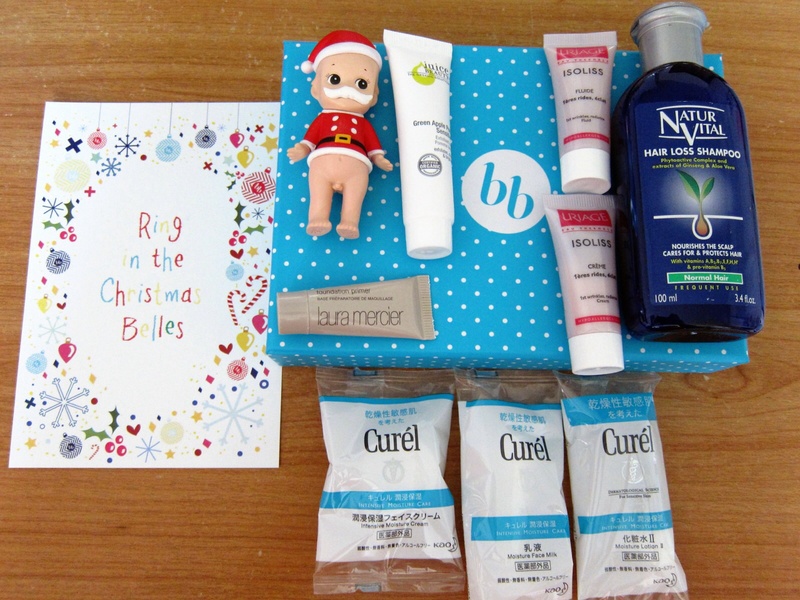 BellaBox Asia have kindly provided me with an extra December box for my Season Of Joy Giveaway!! In this month’s box, we have Curél, Laura Mercier, Naturvital, Uriage and Juice Beauty products! I’ve been suffering from hair loss problem for quite sometime so I’m quite happy to be able to try out the hair loss shampoo by Naturvital. The Curél moisture range is good for sensitive skin! I’ve previously tried out Laura Mercier products and though I’m not a fan of their tinted moisturizers, I quite like their primers! Can’t wait to try out the Green Apple Peel by Juice Beauty, it’s essential that we exfoliate our skin once in awhile. If you have been wanting to try out BellaBox subscription but can’t decided on it, now is your chance to get a box of your own beauty goodies curated by the professional. -BellaBox is a monthly box of beauty surprise which includes 5 travel sizes items of various products for subscribers to try! You will even stand to get full sized products in certain months! Plus, it’s delivered to your doorstep straight! -Till date, there’s 50,000 members enjoying BellaBox beauty boxes in both Singapore and Australia. -At only $19.95 each month, you will always get to enjoy products that is valued more than what you pay! To win your very own BellaBox, you simply have to follow me @joyceforensia on twitter/Instagram and @bellaboxasia on Instagram to stand a chance to win! Leave your name, email, twitter and or Instagram ID in the comments below to enter the giveaway! Season Of Joy 7 Days Giveaway! Day 1! Congrats to Valerie and Jess for winning yourselves a specially curated Beauty Box by me! It’s Christmas soon and this is the season of joy and celebration! This is also the season of giving! To thank you all for all the support all this time of my blog, I decided it’s time to give back a little to my dear readers and hence this giveaway. 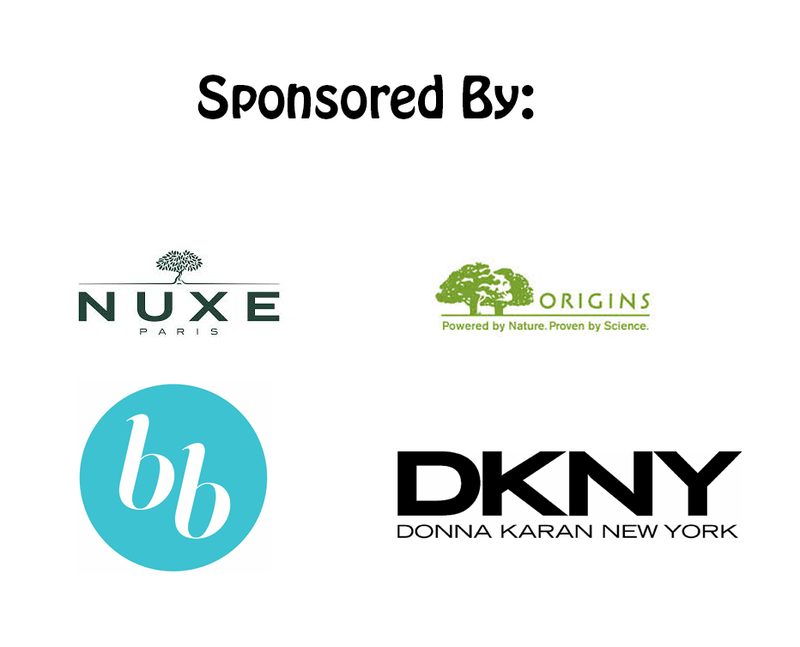 Firstly, I will like to thank the support of these sponsors for helping me make this giveaway possible! I’ve worked with this brands before and loved their products! I’m really grateful for their support and is happy that you all can get a chance to experience products from these brands. As the title suggested, there will be 7 days of giveaway and each of these brands kindly sponsored the goodies for 1 giveaway day each! The giveaway will be done on my blog, FB page and Instagram, so be sure to keep a close lookout! For the other 3 days, I’ve curated 3 boxes of goodies. (I recycled boxes from BellaBox. :D) These goodies might include brand new items sent from various beauty brand and also some items out of my own pocket! Expect full sized items and deluxe samples! This giveaway is only open to readers residing in Singapore. Rules of the giveaway is very simple. You either have to be a follower on my twitter or instagram or like my FB page! For giveaways on the blog, simple leave a comment with your name and email along with your twitter/instagram ID or FB ID. For Day 1, one lucky winner will stand to win one of these goodie boxes that I packed personally! Leave a comment if you will like to win a box of beauty surprise curated by me! Good Luck! 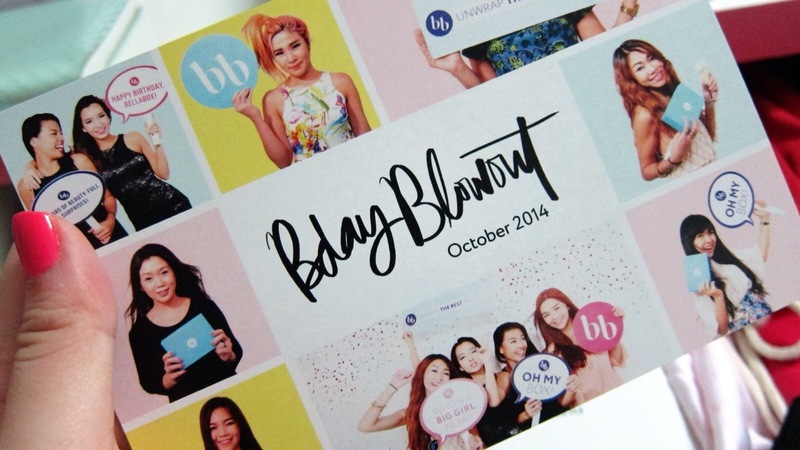 It’s the month of October and it’s also the 3rd Anniversary of BellaBox in Singapore!! Happy Birthday BellaBox! I always look forward to receiving my BellaBox every month to see what’s in the box of surprise every month! I believed it’s the same for most of BellaBox subscribers top! For me, I’m always happy to see makeup items in my box! 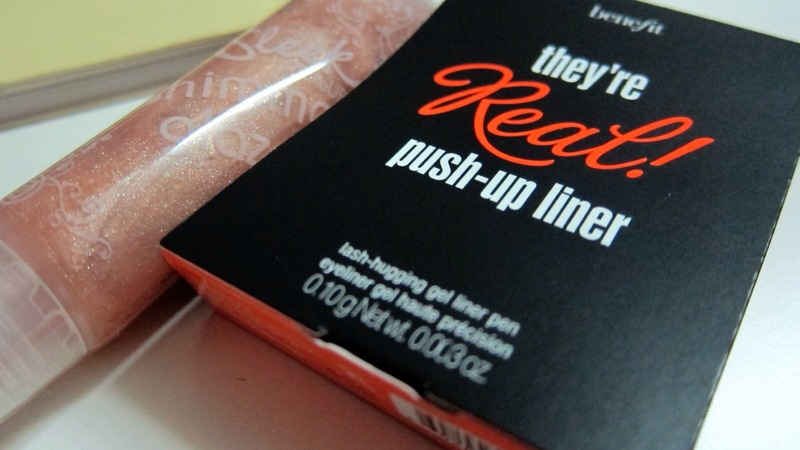 Hence, I’m delighted to find the new liner from Benefit and a lip gloss from Sleek. Just nice I’m in the eye liner phase! The goodies for october’s box! There’s sunscreen from Spectraban, physiogel, garnier etc! And I also spotted a cleansing cream from a new brand. Can’t wait to try it out! 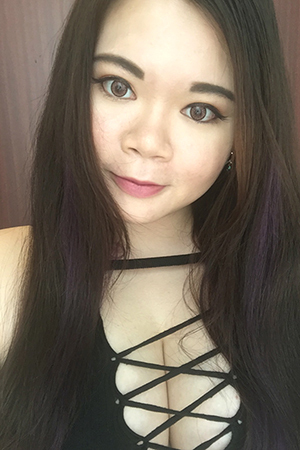 Get your own BellaBox at http://BellaBox.sg today! Received this month’s BellaBox in a paper bag! They have more products that they can’t fit in everything in the box! The theme for August is Summer Fresh! Great for the Singapore weather anytime! Here’s the list of items in this month’s box! Two items that caught my eye in this Summer Fresh themed box will be the Sleek Kajal Eyeliner and the Mattifying Sunscreen by Alexiares & Ani The Deity. Have always been curious about the Kajal liners and am currently in a eyeliner phase. Will try out and post a separate review! Also, sunscreen is the one important skincare in my stash! Good to be always trying out new brands! 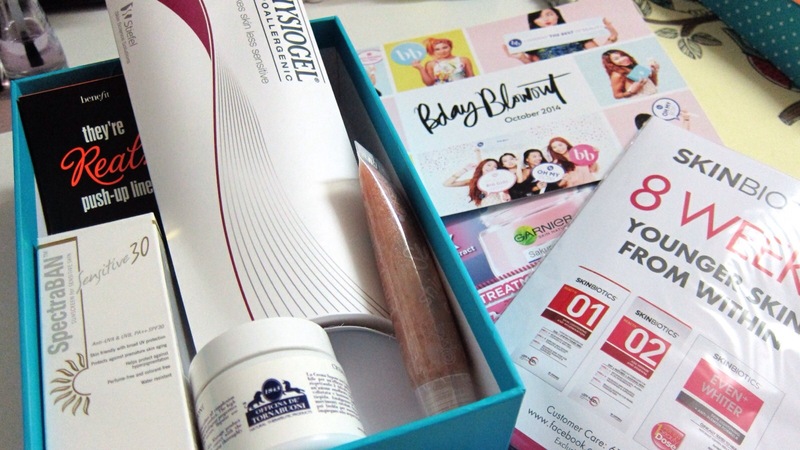 Order your own monthly BellaBox at http://BellaBox.sg today! For this month’s box, we can see brands hailing from Paris, hence the theme. We have L’Oreal which is well known by the masses. There’s also brands like Givenchy, Lierac, Collistar, Lollipops and GlamGlow! Very excited to try the GlamGlow treatment as I’ve read many good reviews on it! Unlike how I usually just post photos of the contents, I decided to do a short video feature! Enjoy! Let me know if you want me to review any products in the box!